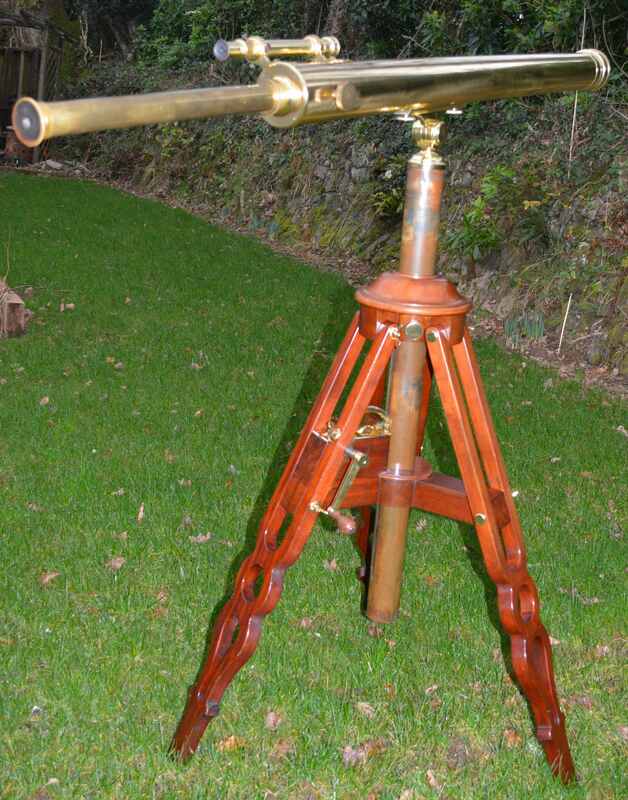 A magnificent terrestrial and astronomical telescope on a fine height adjustable mahogany floor stand. 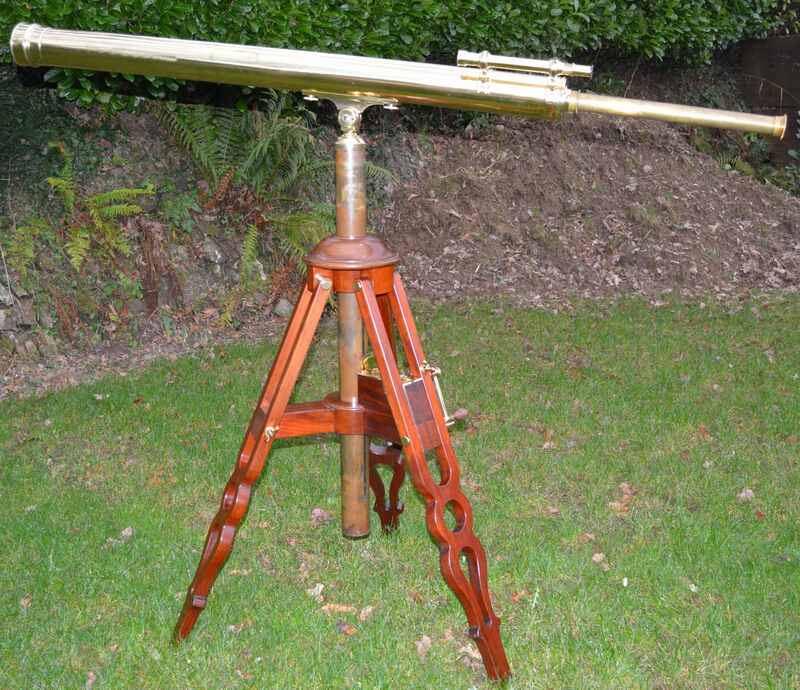 This telescope, I believe, was made by John Browning of London, retailed by Dr. Arthur Chevalier of Paris and presented to George Cecil Ives (friend of Oscar Wilde) for his 12th Christmas. 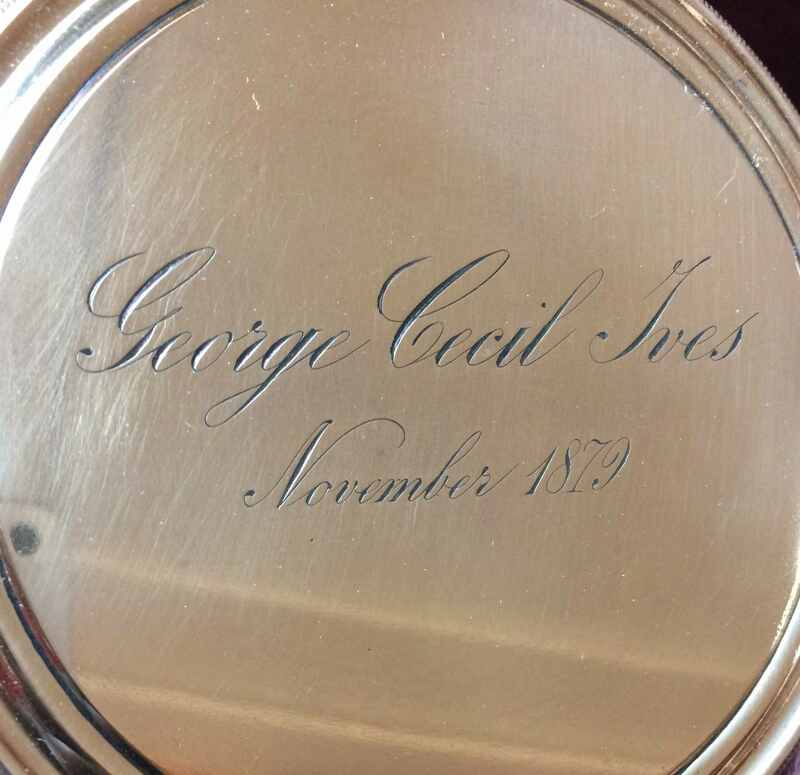 The main lens endcap is engraved “George Cecil Ives, November 1879” (George was born Oct. 1867). 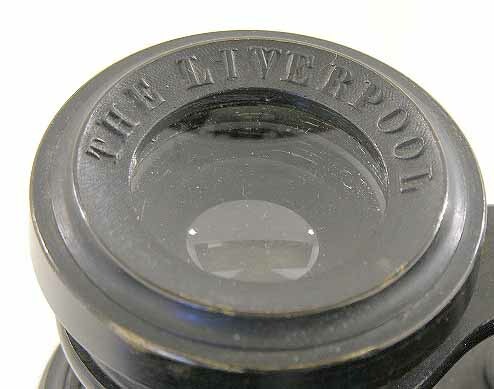 The side of the main tube is engraved “DOCTEUR Arthur CHAVALIER, Opticien Officer d Acudinire, 158 PALAIS – ROYAL 158, PARIS” and there is a fine hand engraved “J B November 1879” inside the main body tube. 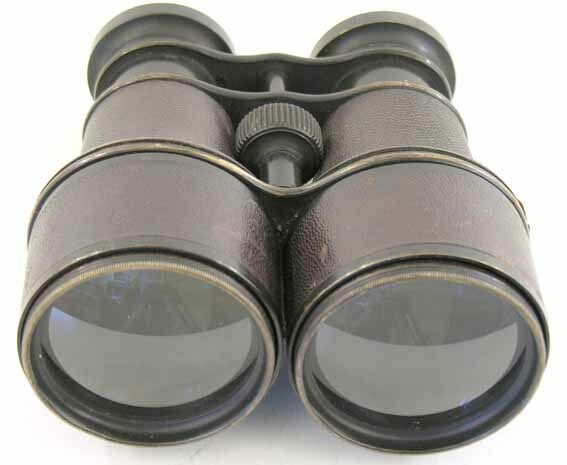 The telescope has a small focussing spotting 'scope attached, 3 interchangeable eyepieces – one low power terrestrial erecting lens and 2 high power inverting astronomical lenses and comes in a fitted transit case with carrying handles each end. 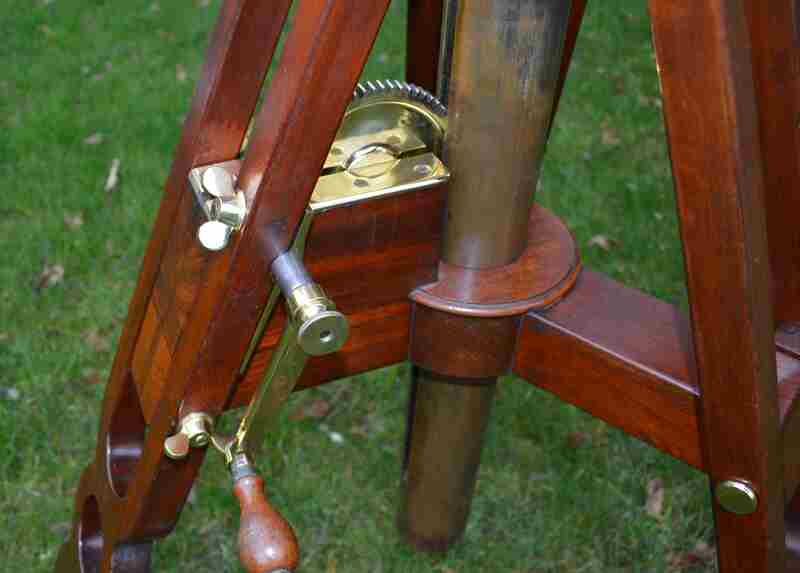 The stand is a fine mahogany tripod with geared winding handle to adjust the height of the instrument, for sitting or stand and to accommodate all sizes from small children to full grown adults. 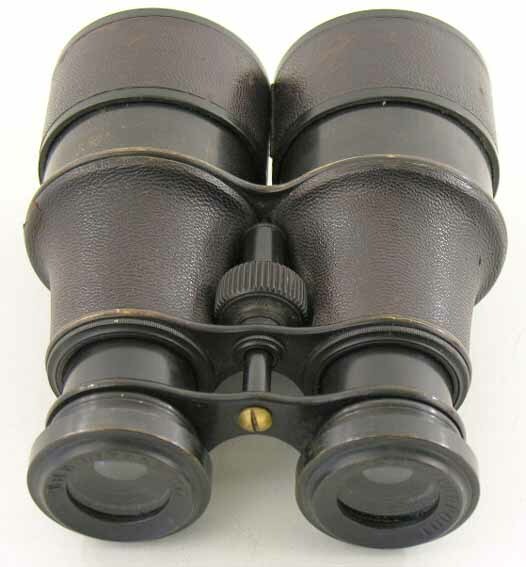 A pair of Antique Brass Galilean field glasses or Binoculars, impressed around each eyepiece “THE LIVERPOOL”.